These colourful foam wall sticker decorations will add a 3D texture to any wall and are a fun and creative way to decorate a room. 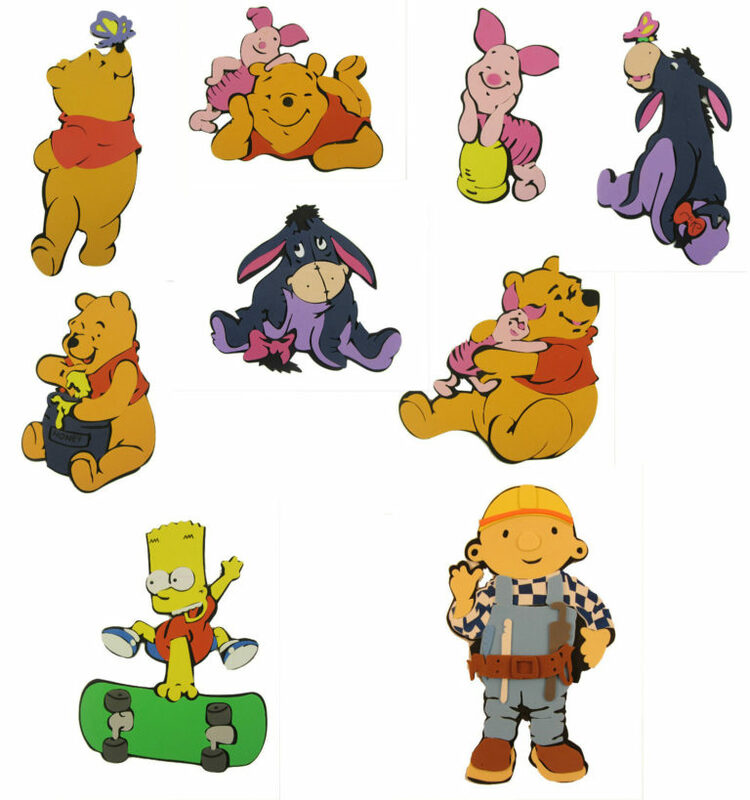 Various characters available from Winnie The Pooh, The Simpsons and Bob the Builder. Please note that Bob the Builder comprises of all 3 stickers as shown in various colours. These are large stickers at an approx. average size of 20 x 18cm. Easy to apply with self-adhesive strips, the usual recommended price is £2.99 each. PLEASE NOTE: Outer wrapper/packaging may be slightly damaged, but sticker itself is fine.